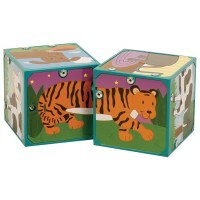 Ravensburger's safari animals 100 pc puzzle in a tin box features a fantastic, colorful scene of an African savanna watering hole at sunset. 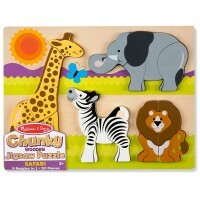 Discover the beauty and wonder of a wild safari, without ever leaving home! 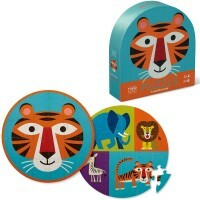 Ravensburger's Safari Friends Animal Planet 100 pieces Puzzle in a Picnic Tin is an exciting jigsaw puzzle perfect for puzzle lovers of all ages. 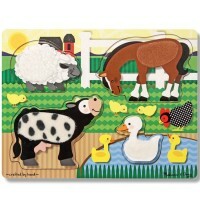 The fun puzzle features a fantastic, colorful scene of an African savanna watering hole at sunset. 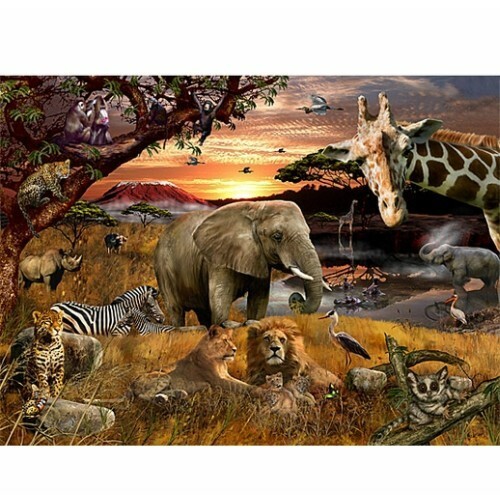 Find all your favorite safari animals in one stunning illustration. 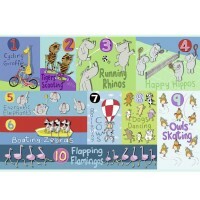 Giraffes, lions, zebras, elephants and more! 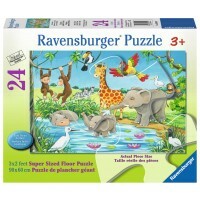 Ravensburger's durable puzzle meets the highest international safety standards, making this activity toy perfect for kids and adults alike. 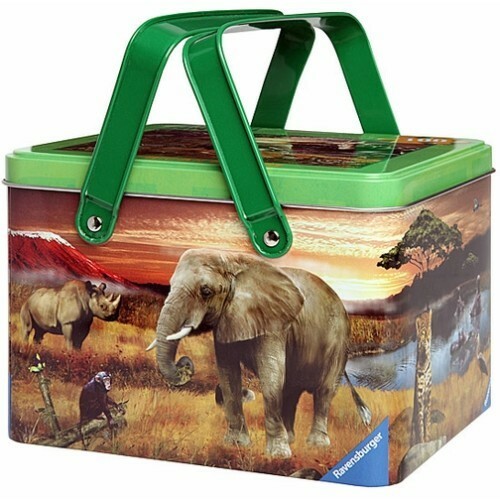 The Safari Friends Animal Planet 100 pieces Puzzle in a Picnic Tin from Educational Toys Planet easily stores in a fun metal tin with convenient handles, so you can enjoy puzzle fun at home or on-the-go. 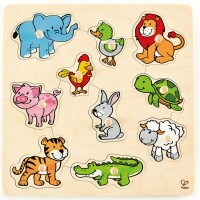 This activity is a great way to enhance fine motor skills and problem solving skills. 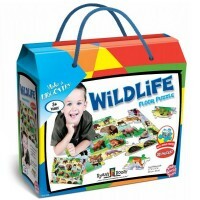 It's also perfect for solo play or as a fun group activity for the whole family! 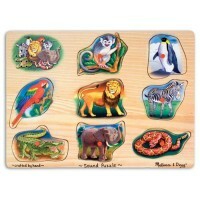 Assembled safari animals puzzle measures 19.25 x 14.25 inches. 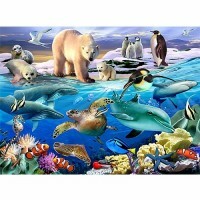 Dimensions of package 0.055" x 0.065" x 0.05"
Write your own review of Safari Friends Animal Planet 100 pc Puzzle in a Picnic Tin.